All Reiki courses take place in the comfortable surroundings of The Otherworld Gallery, Winslow and are taught by Reiki Master/Teacher Lauren Isherwood. 1st Degree training at The Otherworld Gallery is performed in a one day workshop. 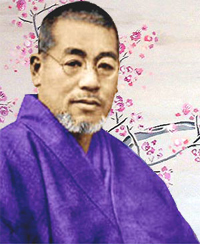 The History of Reiki and its founder Mikao Usui. The importance of Usui Reiki Lineage. The aim of the 1st Degree is to introduce the student to Reiki and to activate a connection to universal energy that facilitates a self-healing process within the student. No previous experience is required for this course, though it is helpful if the student has previously received reiki treatments. 2nd Degree training at The Otherworld Gallery is performed in a two day workshop. The 3 Pillars of Reiki. How to use the symbols. Introduction to the Concept of Professional Associations. The aim of the 2nd Degree is to introduce the student to the sacred symbols of Reiki and to prepare the student for professional practice. Usui Reiki 1st Degree training. 3rd Degree Reiki Training (3a). 3rd Degree training at The Otherworld Gallery is performed in a two day workshop. The aim of the 3rd Degree training is to introduce the student to the sacred Master symbols of Reiki, to further develop professional practices and to reaffirm and strengthen the student’s connection to universal energy. Usui Reiki 1st and 2nd Degree training and have had some experience of practice at those levels. 3rd Degree (3b) Master/Teacher Reiki Training. Master/Teacher level Reiki training is available at The Otherworld Gallery. Tutors Certification and Lineage documents available upon request. Booking is essential for all the above courses. A deposit is required in all cases.